During a recent chat at the San Jose McEnery Convention Center, Antivirus software founder John McAfee unveiled plans to create a gadget called the D-Central which he claims can keep your information safe from the National Security Agency. The gadget, which McAfee wants to sell for less than $100, would communicate with smartphones, tablets and notebooks to create a decentralized network that couldn’t be accessed by government agencies. Specifically, it would create a small private network that would act as a “dark web” where users could communicate and share files privately. The device would have a wireless range of about three blocks and those in range would be able to communicate with each other. McAfee has reportedly been working on the gadget for a few years but has accelerated development in recent months given the NSA leaks. At present, he said the design is in place and they are looking for partners to help with hardware. A public prototype is expected to be ready within six months with the current device said to take a round shape with no display. This of course is assuming the project isn’t shot down by regulators before it’s ever released. It’s entirely possible that authorities could ban it in the US over the fear of criminal use. 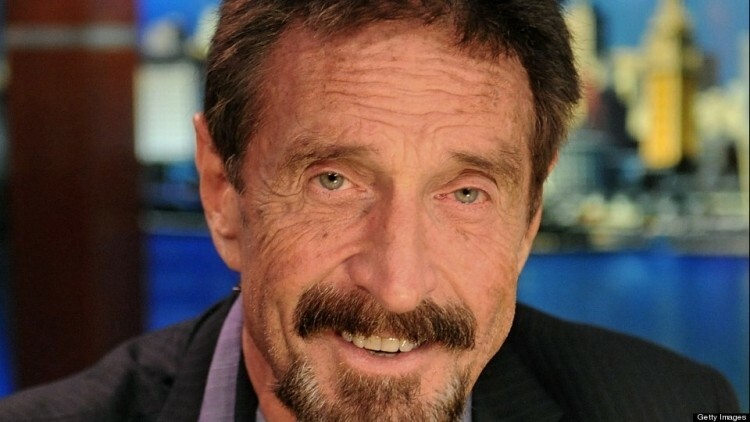 McAfee didn’t deny it – saying he is sure people will use it for nefarious purposes just like the telephone is used for nefarious purposes. If it gets banned in the states, he will simply look elsewhere like Europe or Japan to market it.